Our brief was to create a logo that could be used seamlessly for all locations, it needed to create a professional outlook whilst loudly stating the nature of the proposition. 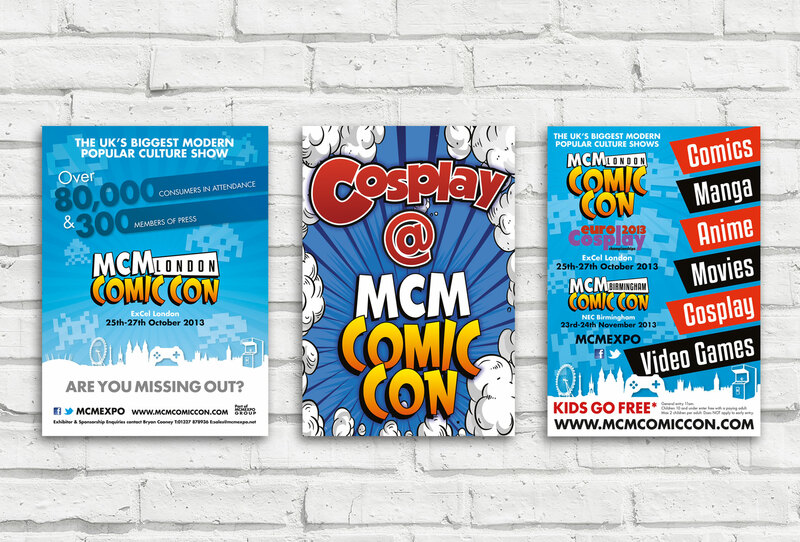 We then rolled out the brand styling, conceived at point of re-brand, across the entire spread of all their media, which included: 98 sheet posters, pop up banners, regular posters, digital advertising and point of sale items used around each exhibition. We also created and printed all the show guides, given away FREE to all ticket holders at (and specific to) every event, combining a wealth of expo information, PA details & site specific maps.